The BUFF Headwear Winter League and Kelly Marks Indoor League 2012/2013 is now over for this year. We had a brilliant time running the league and competitions and seeing all our members and non-members improve throughout the season. The final league standings are now available on our results page. The pictures on this page are a mixture of all the BUFF winners. Emma Hartshorne, one of the overall League winners, has written a fabulous report on her, Wayne’s and Bugsy’s experience below. We look forward to seeing you all there again next year! 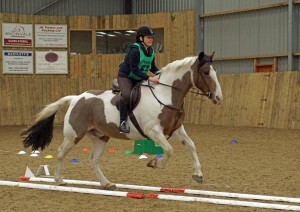 I started competing in Summer TREC about 4 years ago and loved it from the start but the thought of competing in Winter TREC didn’t appeal at first since my temporary move to Lincolnshire made every competition venue a very long journey for a few classes of 5 minutes, unlike the Summer competitions that last one or two days. 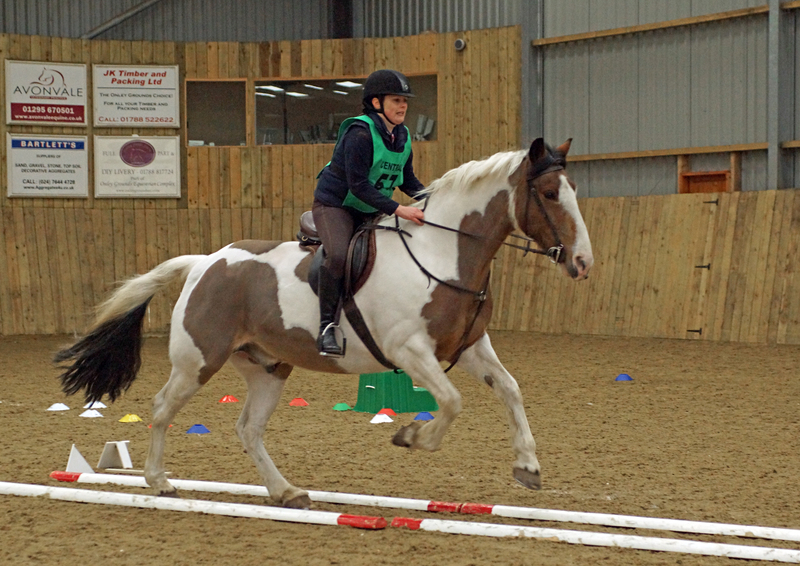 However, as Wayne, my partner, was showing an interest in the sport I felt that Winter TREC was a good opportunity for him to compete on my horse in a safe environment and to master his skills on the COP and PTV course ready for the summer season. 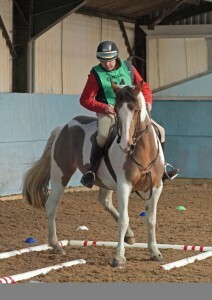 Similarly, looking at my own past performances in the COP, I decided that myself and Bugsy (aka Reggie’s Puzzle) really needed to practise in an unfamiliar competitive environment rather than just at home. We sat down and decided that in order to make the long journeys worthwhile, we needed to enter every class so that we had ample opportunity to practice the COP and the variety of obstacles so we smashed open our money boxes and started filling in our entries for the BUFF Headwear Winter League and the Kelly Marks Indoor League. 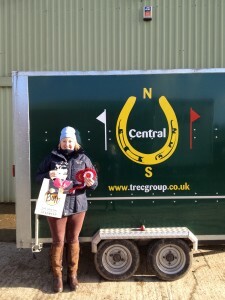 We have now been to about 5 or so Winter TRECs this season including all 4 run by our local Central TREC Group and all three of us have made really good progress; Wayne is now able to keep Bugsy in canter all the way around the COP course, he has mastered neck rein, side pass and rein back and got a brilliant 96 out of 100 on one of the PTV courses and his confidence has grown so much by being in a safe environment. My own COP score has improved significantly as has my confidence in pushing myself to canter through bending poles even if it doesn’t really look pretty! 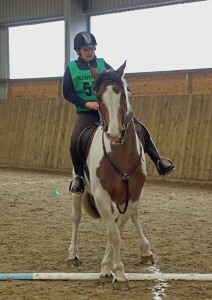 Bugsy has mastered side pass and is no longer worried about water trays (although he still jumps very high over them!) and more than anything, he now really seems to know his job and the bond between us is just wonderful. We really look forward to seeing our new found friends at events and chatting and sharing experiences, we all give moral support to each other as all of us have good days and bad days. 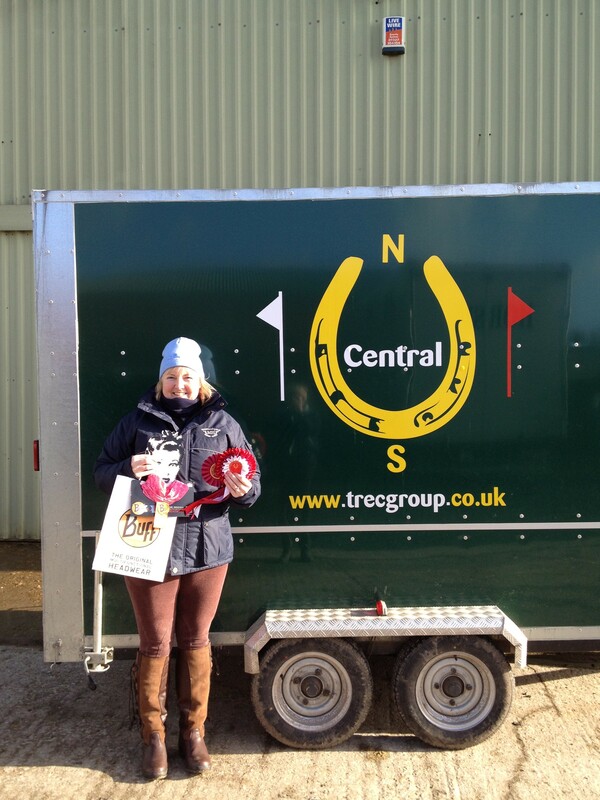 The unaffiliated BUFF Headwear Winter TREC league has proved brilliant fun amongst the club members and we have all loved the beautiful quality rosettes and BUFFs. The fabulous prizes awarded by BUFF have certainly helped us stay warm and fashionable this winter both on and off the horse! The affiliated Kelly Marks league has been really exciting too as we all aspire to be top of the UK league! We are so grateful to all of the volunteers and organisers who give up their spare time so readily at these events and are always smiling no matter how cold it is! At every new venue, the liveries always ask what TREC is about and you can see they love to watch. 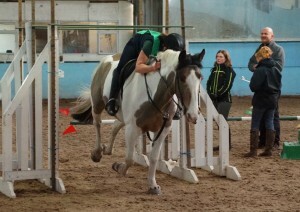 I genuinely believe that unlike some other disciplines, TREC really is a level playing field open to all. Winter TREC is an ideal way to start on the path to Summer TREC, it provides a safe environment to learn, it helps strengthen the bond between horse and rider, it helps keep your horse fit through the gloomy winter months, it’s great fun, incredibly friendly and it definitely brings out the inner child! !